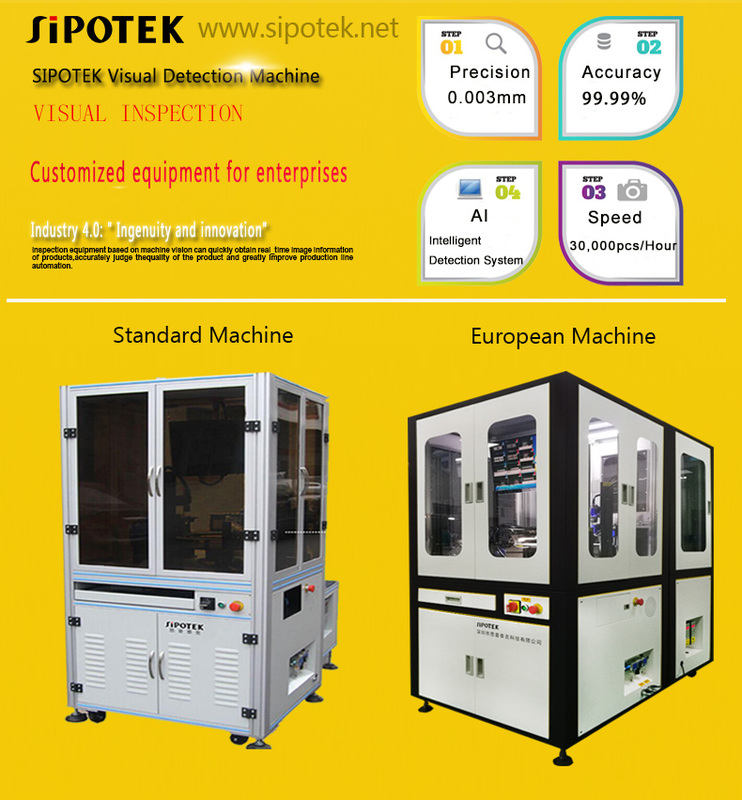 Machine vision is a growing technology and has been developed and researched in automate optical inspection industry for many years. Inspecting parts accessory during the production line or assembly line, is becoming more and more important on quality control process. It is a story you might hear somewhere before. A 500 global leading company produce daily consuming products. Soap is one of their product. If there is an empty box, which should have filled with soap on the producing line, runs into the market, it will easily cause customer complaints. Therefore the company establish a protection and correction team to solve the issue and they finally come with a solution, to add a “weight scale” at end the end of the production line. If there is a product with unusual weight, the optical sorting machine will sort out and make rejection. This solution earns many agreement and was wide used thereafter. The same situation happens in one of our national soap manufacturer, as they don’t have enough resource and money, the boss asked the production manager to solve this issue immediately. The manager felt hard and suddenly he came up with an idea. He found that workers use a high-power fan to blow the wind and drive away the heat. So he took a fan too and adjust the distance and wind speed until it can blow away the empty packages. Many people will agree that the production manager is smarter than people in the 500 global leading company. However, thinking about future applications, which one will be widely used and which one will be out. Take mobile phone assembly for example, if the assembly contains multiple accessories, it might occur missing or wrong assemble problems. The optical segregation machine can inspect these problems using machine vision inspecting, and then sort out the unqualified items from production line. Some missing or wrong packing problem is inspected by optical scanning. They are constantly used in products with multiple parts, such as instrument dials. The working instructions is make comparison of qualified images to inspected images captured by cameras. The inspection system will then distinguish the unqualified images and deliver signals to the system to take actions to eject out respectively. Sipotek specialized in missing or wrong packing inspection for over 16 years. With a mutual technique in machine vision, the inspection solution has been applied in automotive industry, precision hardware industry, plastic industry and etc. In the influence of Made in China 2015, more and more manufacturers become interested and put vision inspection facility into use, they are searching a new way to turn the traditional method to industrial automatic inspection era.